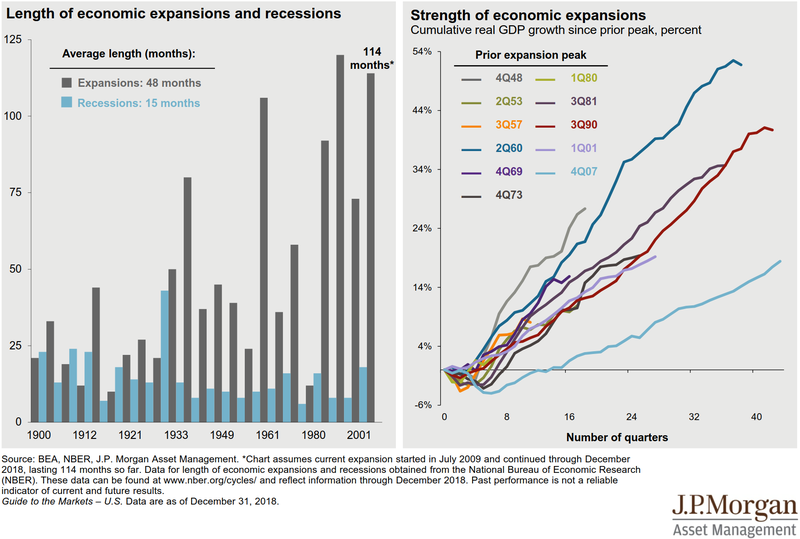 The current economic expansion in this country officially began in July 2009, but until just recently many Americans have experienced only modest income gains. 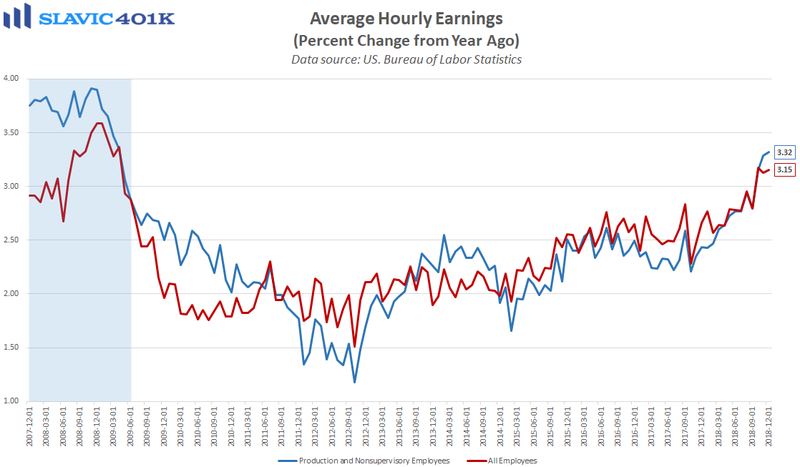 Fortunately, sluggish wage growth has in numerous cases been at least partially offset by improving employer-provided benefits. This is not too surprising since businesses of all sizes must use every tool at their disposal to attract and retain talented workers in an increasingly competitive labor market, and research from the Employee Benefit Research Institute (EBRI) highlights just how important this compensation component can be. For example, more than a third (36 percent) of surveyed working Americans consider the benefits package offered by a prospective employer to be an “extremely important” factor in their decision to accept or reject a job offer. 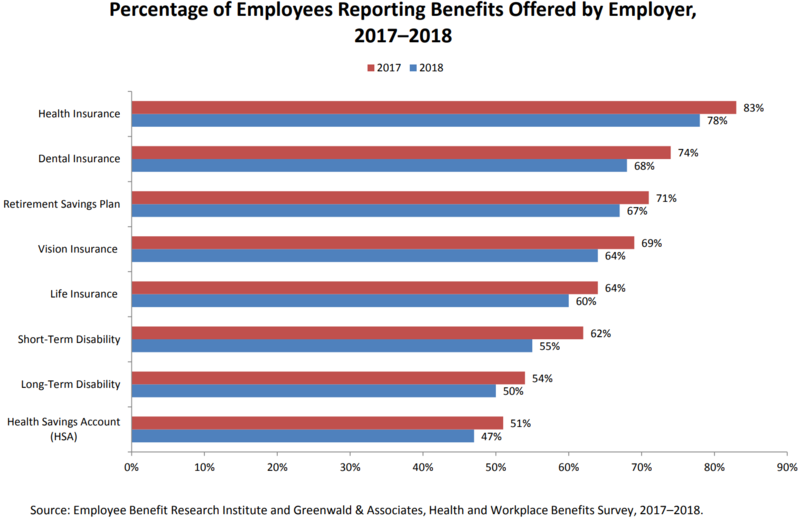 Another 41 percent said that benefits offerings are “very important,” and 22 percent even reported that they had already “accepted, quit, or changed jobs” solely because of the benefits that an employer offered or failed to offer. 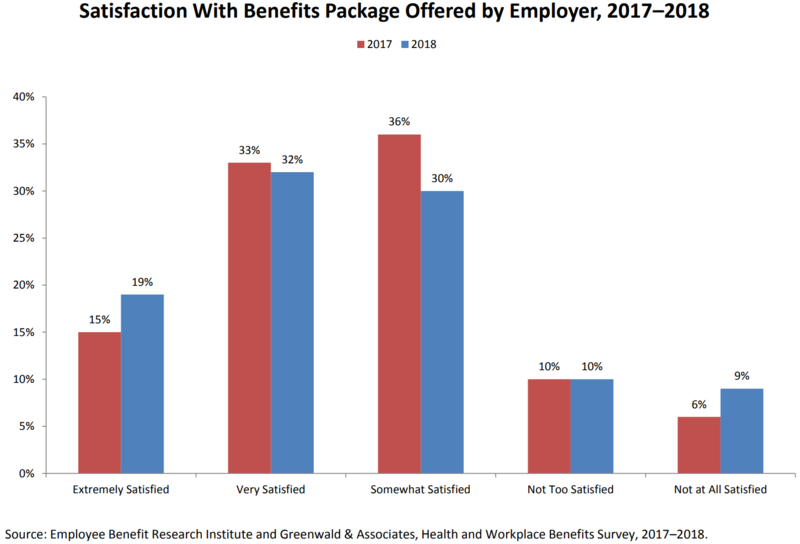 Encouragingly for businesses, another EBRI poll released this month revealed that 81 percent of workers are at least “somewhat satisfied” with the benefits package currently offered to them by their employer. That includes 19 percent of respondents who reported being “extremely satisfied,” up from 15 percent in the previous year’s survey. There was also a lot of overlap between the employee respondents who said they are “extremely or very satisfied” with their workplace benefits and those who reported the same level of satisfaction with their job. This could suggest that “as satisfaction with benefits increases, so does overall job satisfaction,” although the report’s authors cautioned that job satisfaction is likely a function of not just benefits offerings but many variables. 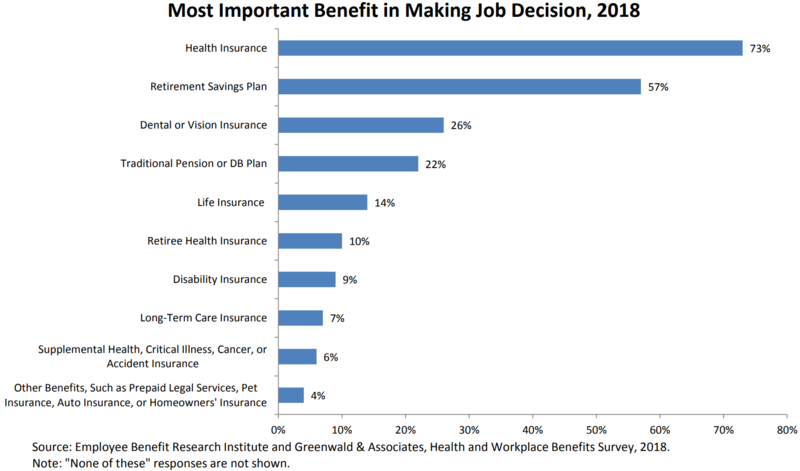 Elsewhere in the survey, workers were asked to list the top employer-provided benefits they take into consideration when contemplating whether to remain at a job or choose a new one. Health insurance and a retirement savings plan were by far the most common responses. The value placed on healthcare is likely due to the continued, rapid rise in medical services costs and coverage premiums. 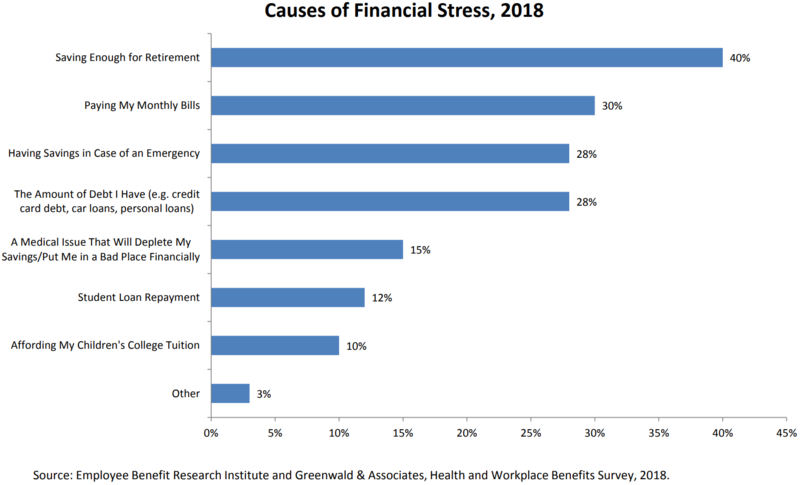 As for the favorability of retirement benefits, this is to be expected with surveyed employees citing the prospect of not saving enough for retirement as their top source of financial stress at the moment. 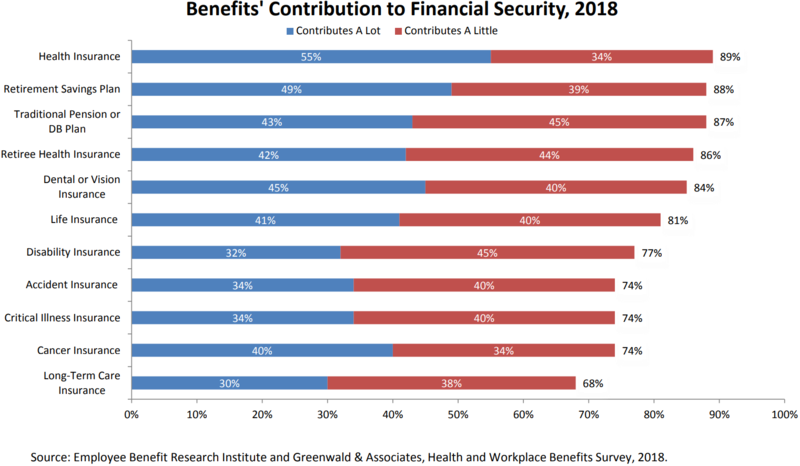 Moreover, 88 percent of employee respondents reported that their workplace retirement savings plans contribute toward a feeling of overall financial security.